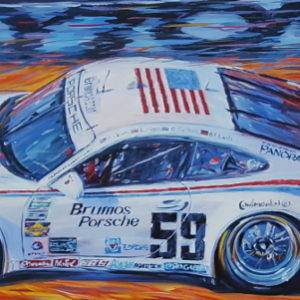 Side view of the “famous 59” Brumos Porsche at Daytona. 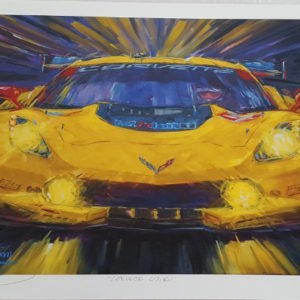 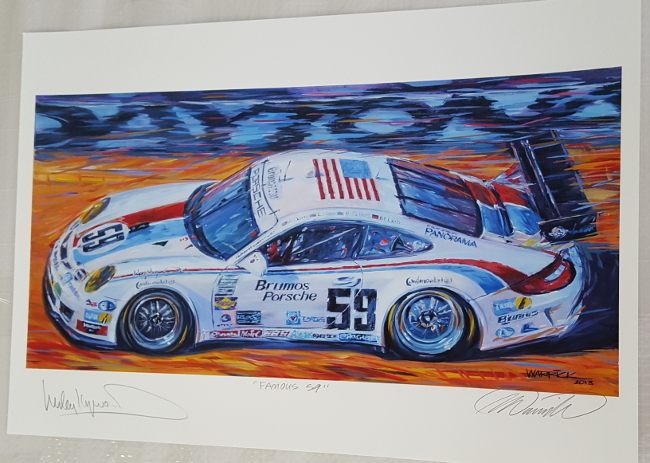 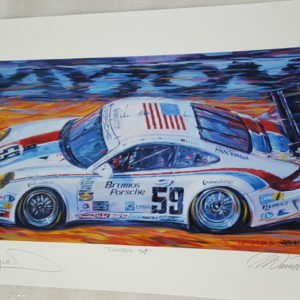 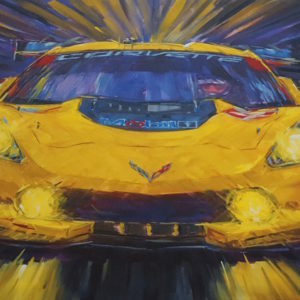 Autographed by the legendary Porsche driver Hurley Haywood. 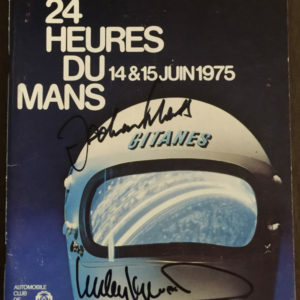 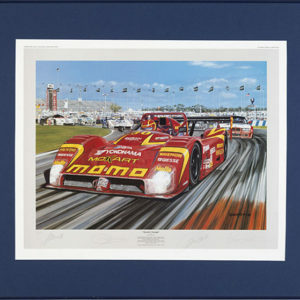 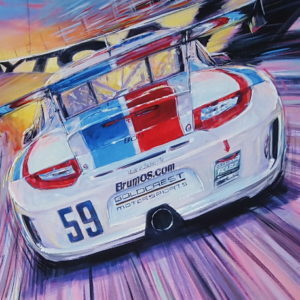 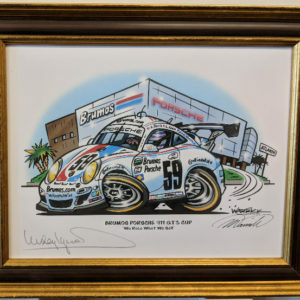 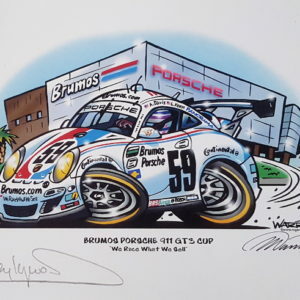 A must for any Porsche, Hurley Haywood, or Brumos fan! 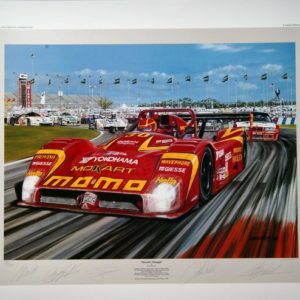 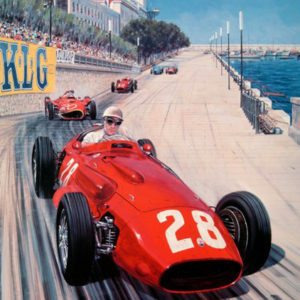 Another classic Roger Warrick work of art! 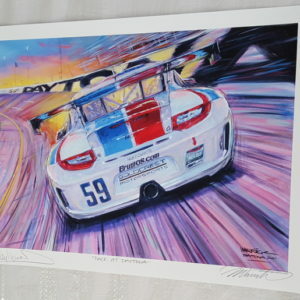 Comes with photo of Hurley Haywood signing while they last.